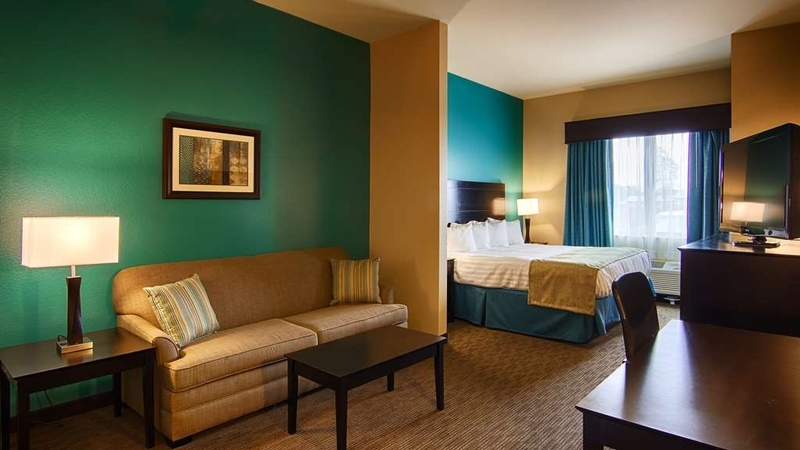 Das Best Western Lindsay Inn & Suites ist ideal in Lindsay Stadtzentrum zu finden. Erleben Sie ein schöner Aufenthalt in der Nähe von alle Sehenswurdigkeiten. Bestpreisgarantie und exklusive Angebote. 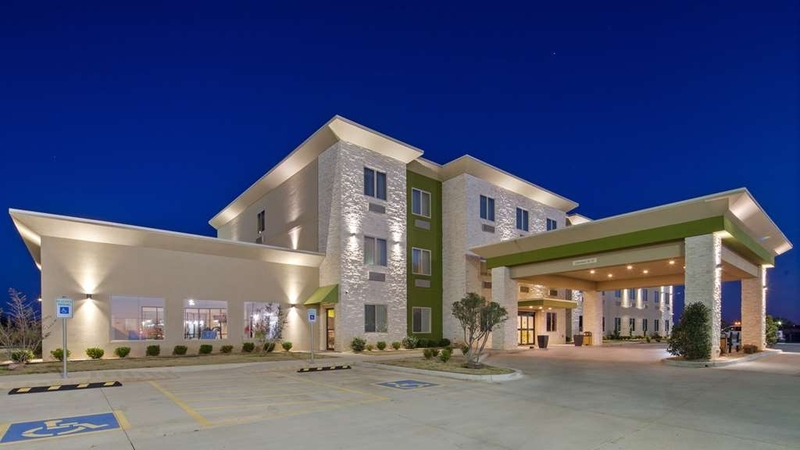 Willkommen im Best Western Lindsay Inn & Suites in Oklahoma! Unser Hotel bietet eine günstige Lage, in der Nähe wichtiger Erdöl- und Erdgasunternehmen von Garvin, McClain und Grady County. Unser Hotel liegt am Highway 19 in Garvin County und bietet Geschäfts- und Urlaubsreisenden besten Service und komfortable Unterkünfte. Die schön eingerichteten Gästezimmer sind ausgestattet mit Mikrowelle und Kühlschrank, 42''-LCD-Fernseher mit DIRECTV® und kostenlosem drahtlosem High-Speed-Internet. Geschäfts- und Urlaubsgäste können das Business Center und die Tagungs-/Konferenzeinrichtung für Geschäftstreffen und Familienfeiern nutzen. Unser Hotel bietet ein beheiztes Hallenbad, ein Fitnessstudio, einen Süßwarenladen und kostenloses warmes Frühstück – ideale Bedingungen für Ihre Geschäftsreise, einen Urlaub oder den Besuch einer lokalen Veranstaltung. 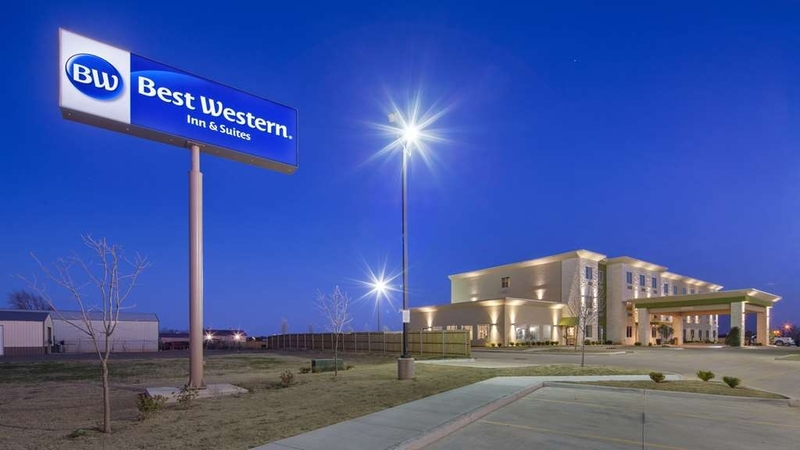 Das Best Western Lindsay Inn & Suites ist nur 64 km entfernt von Norman, Pauls Valley, Chickasha und Purcell, OK. Für Geschäftsreisende liegt das Hotel in der Nähe mehrerer Erdöl- und Erdgasunternehmen. 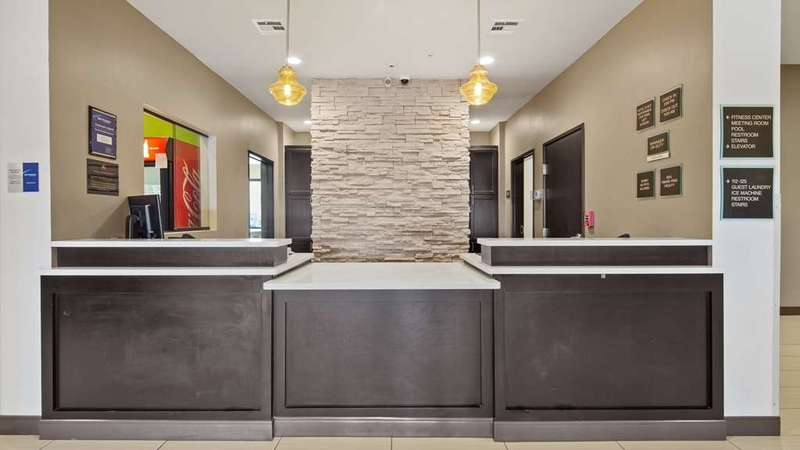 Das Best Western Lindsay Inn & Suites freut sich darauf, Ihnen erstklassigen Service und eine günstige Lage in Lindsay zu bieten. Reservieren Sie noch heute, und genießen Sie einen komfortablen Aufenthalt und beispiellosen Service. Genießen Sie Ihren Aufenthalt! Had a great experience as we always do. 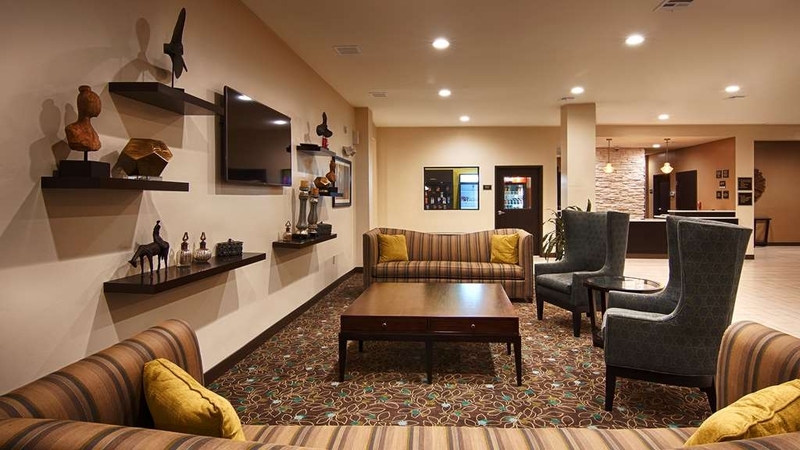 Staff is very friendly and will go out of their way to make it a great stay. 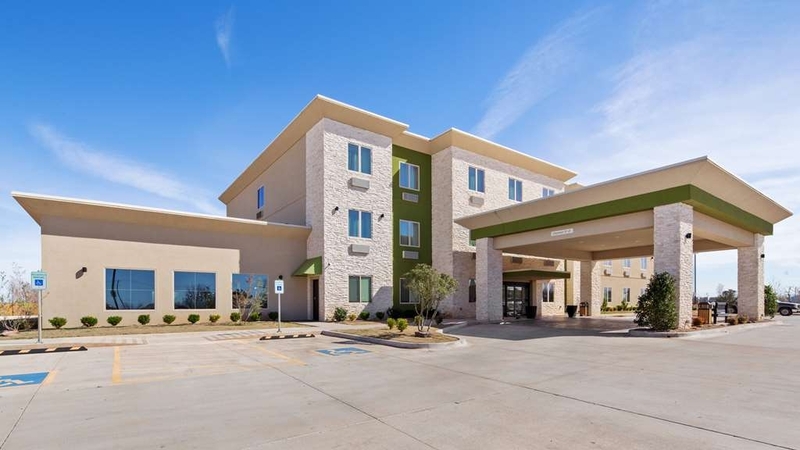 Would highly recommend for anyone looking for a motel in the Lindsay Oklahoma area to give this Best Western a try. You won't be disappointed. The staff were extremely helpful and willing to give their recommendations on the local restaurants. We were greeted with a smile and the staff appeared to be proud to work for Best Western. It was a great experience. I was pleased with the staff and quality of the hotel. would certainly stay here again! its a new hotel and I was pleased with the experience. 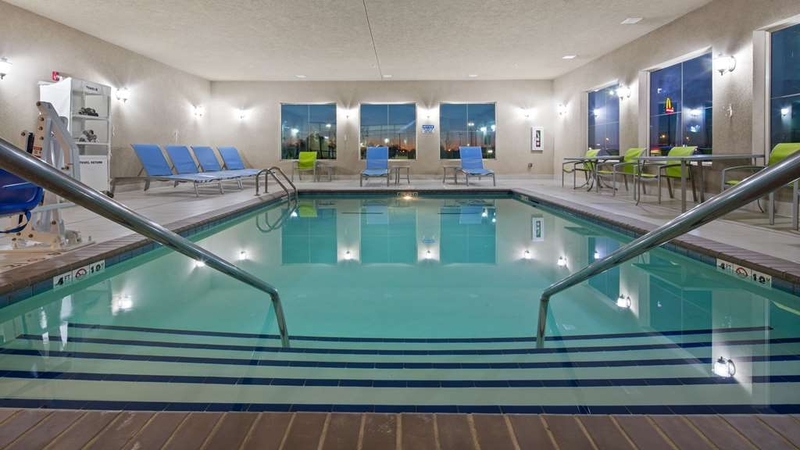 I rarely stay at best western but after staying here, I would certainly stay upon next visit. "Great Hotel, Best Ever Hospitality"
What a great motel! Unexpected hospitality and friendliest staff ever. Phyllis at the desk made us feel at home, clean rooms, tasty breakfast. We were in Lindsay for our son's wedding, but will return as often as possible. Stayed here for a convention in Lindsay this past summer. Nice clean facility, friendly staff & reasonable rates. No restaurant but serve Continental Breakfast. Would stay again. 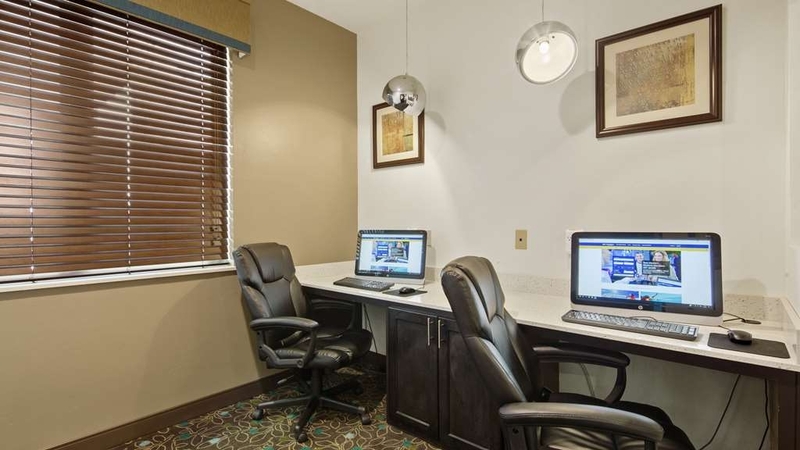 Hotel is in close proximity to downtown areas. Great place to stay in Lindsay! Friendly people, good breakfast, next door to Walmart with a McDonalds! Amazingly quite for as busy as it is. Of course, if you don't have family or friends to stay with it is your only option. I would recommend this hotel to anyone needing to be at a hotel. Staff is excellent and the hotel is very clean. Great appearance and well kept. 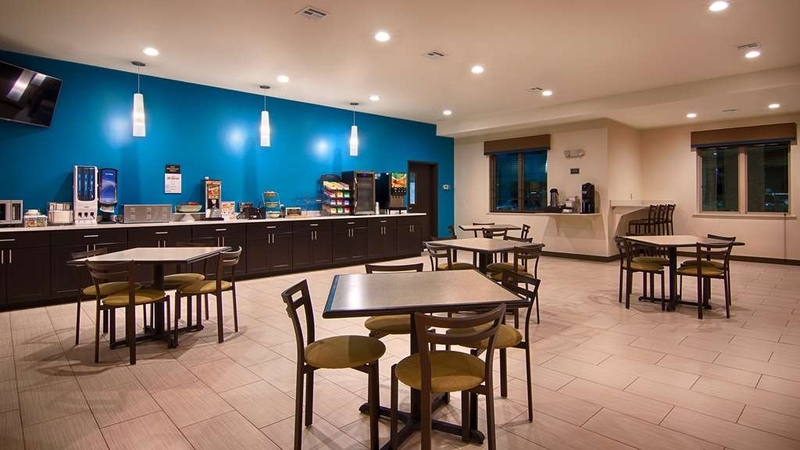 Excellent continental breakfast is great, the staff is great and friendly. I was there for about 7 weeks and it was all a great experience. "Perfect to get your nights rest." staff is friendly, rooms were clean. we were very happy with the quality and cleanliness. Make sure you book well in advanced, for a small town they were at capacity. a lot of utility and pipeline workers use this hotel for their nights they work. 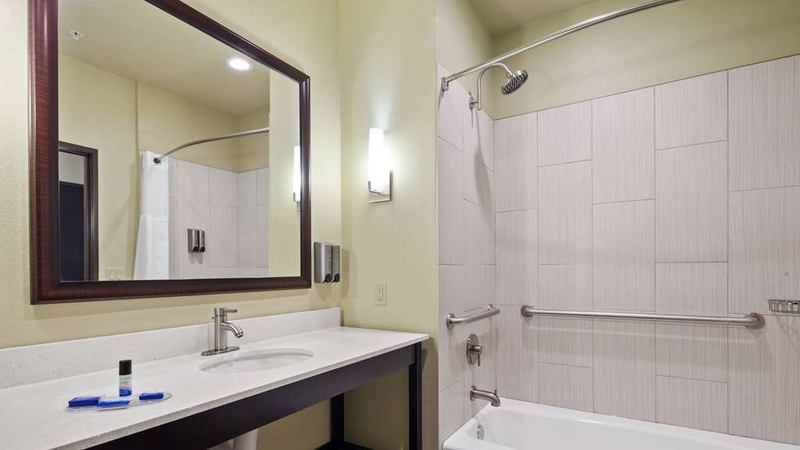 "Did not have the Handicap room, with a short distance to a exit that I had booked"
Did not get the room that I had booked. 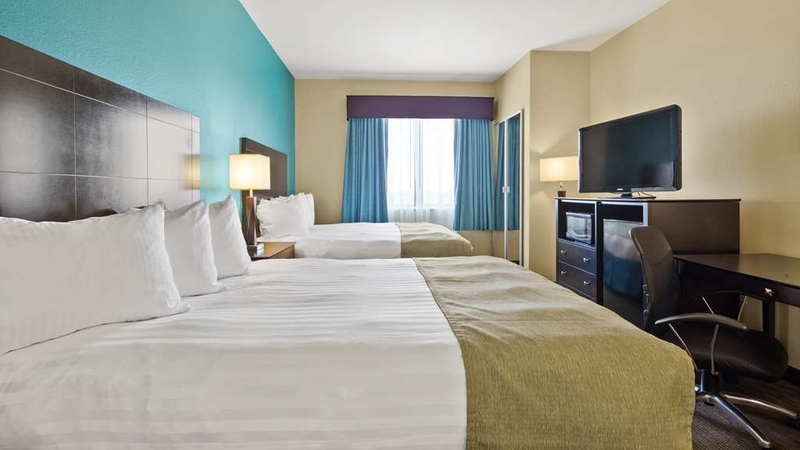 Needed a Handicap accessible room with two beds. close to a exit. Got a room on 2nd Floor end of hallway not handicapped accessible and elevator location was not marked in hallway. 2nd day got moved to 1 bed main floor with a handicap bath. My elderly traveling companion was in pain and uncomfortable due to conditions given. Breakfast was Great. Service was Excellent. The bed was very comfortable. The housekeepers were very nice and always smiling. Fabi, Amanda, and Lisa were helpful at check in and check out. Described all the services very well. Had a pool and exercise room and meeting room. This is a great place to stay. The staff were very friendly and helpful. The food they provide is good and tasty. The room is a nice size, comfortable and clean. The swimming pool was enjoyed. We would stay here again. 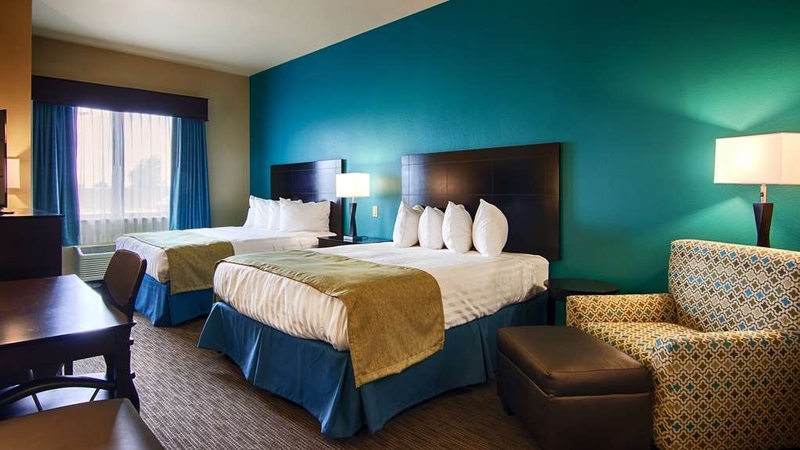 The staff was fantastic and the rooms were clean and comfortable. Could use a larger frig. Excellent hotel for the price. Next to the hotel is a Walmart and it located in a great spot for work in the area. I would recommend this hotel. 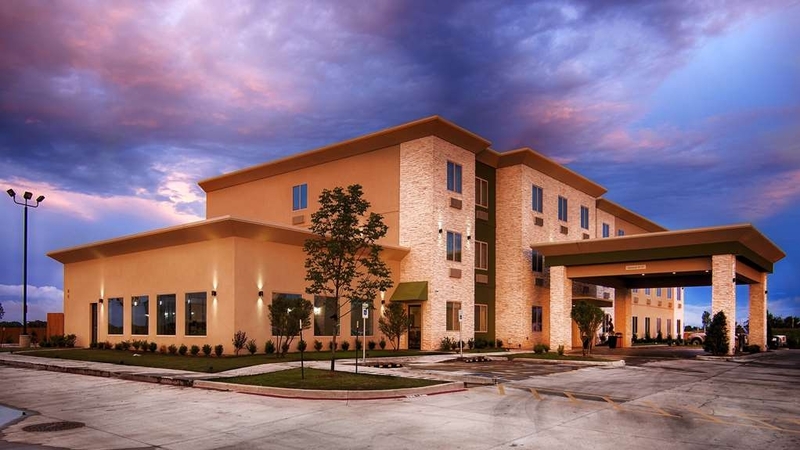 I visit this hotel quite often, and have always been treated pleasantly by the front desk staff, particularly an older gentleman who is usually working nights. If I haven't said it to his boss- he is so very friendly, helpful and funny as well! I thought the review below was a bit outrageous if it refers to him because he's always so kind and I have never smelled him stink. I do have to complain about the housekeepers. 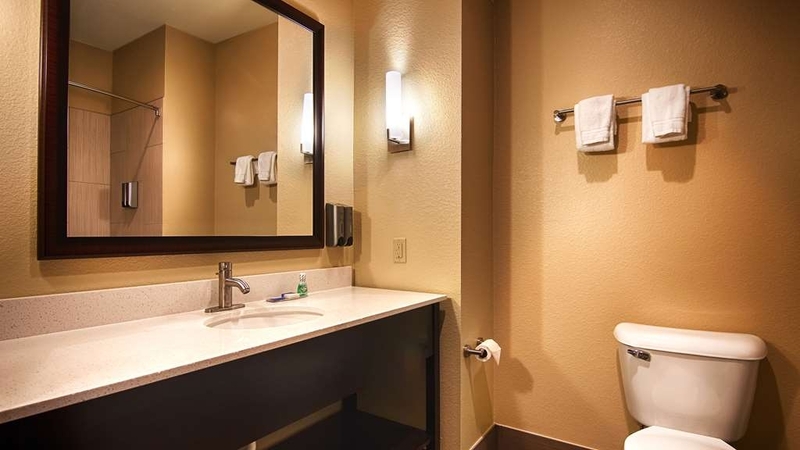 As I said, I've stayed here frequently and it seems that at least 75% of the time the older gentleman or a woman from the front desk have to clean a part of my room or bathroom or put on clean bedding. They're kind about it but at other hotels I've always found that to be the housekeepers duties. Perhaps that is something management should address. "best place in Lindsay "
As I walked in from my night shift work I could hear the front desk guy coughing his lungs out . I thought it was from him smoking cause he smells like a ash tray and has horrible teeth ( not something you want working a front dest) . I sit down to eat and notice the usual breakfast lady isn't there . Soon enough I seen ashtray man walk over and start messing with all the food coughing all over it . I lost my appetite and left but not soon enough to not get the germs he so gladly gave me . Sure enough 2 days later I feel a cold coming on. Day 3 I was sick as a dog. Now my 2 month old baby and his mom are sick too . Thanks a lot for letting someone sick not only work but make breakfast. It's a nice hotel but I did experience a few problems. Not sure I would stay here next time I go back. The staff was friendly and sent someone to my room to spray for bugs after roach was on my bed the first night. I killed the second one we saw and left it in a cup for house keeping to see and went down and talked to the front desk. The Chlorine in the pool was pretty high and had to keep my grandsons face out of the water. "No Room Available For Me Even Though I Had Reservations There"
I had reservations at the Best Western Lindsay Inn & Suites for Friday, August 18, 2017. I arrived there at 9pm Friday night. The staff said something was wrong with my room and they had no other rooms. They said they had been calling me for hours about it, but I did not receive one call from them. They said they had contacted some hotels in another town earlier in the day, but didn't know if they still had rooms available. I was not going to drive another 20 miles to check if a room was available because I needed to stay in Lindsay due to an emergency situation there. I have difficulty driving at night which made the situation much worse. I will NEVER make reservations at that hotel AGAIN! That was my first experience at this hotel and my last!! 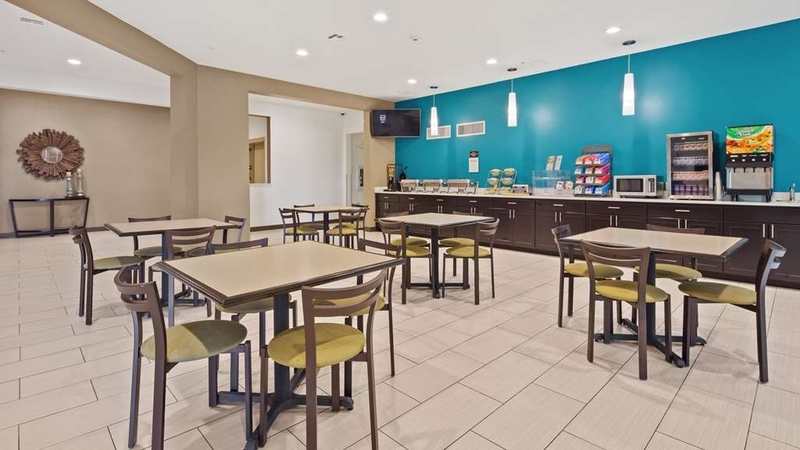 "Small town amazing service "
Friendly staff decent breakfast beds and rooms are comfortable and relaxing feels like home when I stay at best western in Lindsay ok. Normally stay for 3 weeks out month here.Always count on the staff and ms Janice for excellent service. Evidently housekeeping was short. Didn't report it the first night. Front desk staff was excellent. Would stay again. Just like room cleaned every day. Bought my own coffee pot so I could have a full pot. "Cockroaches in our room dirty room condoms and lube in fold out bed"
So we arrived 5am to check in tired from the trip put the do not disturb sign on door which houskeeper ignored and tried to come in found roaches in our room and condoms and lube in fold out bed we're our kids slept when I told the staff at front desk about the problem she just said I'm sorry it was my bad I gave you a dirty room sorry that was it so my wife went down and told them again and all they did was have us switch rooms and apologized so we had to go move all our things to another room was an inconvenience I mean I payed almost 400$ for the 3 nights. Then in the new room saw more roaches we called to let them know again and they just said they called terminex and we're sorry. When we checked out thought they would offer discount or something for all the problems. But no they didn't even care. 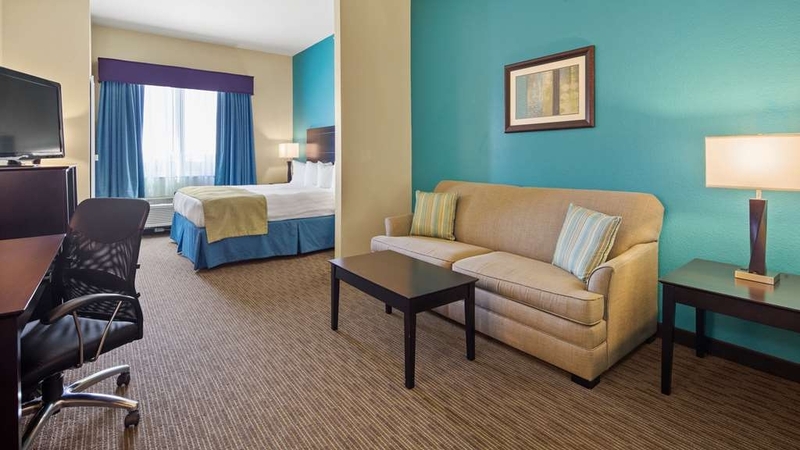 Decent place with clean rooms and nice bathrooms. Pool was nice and clean. 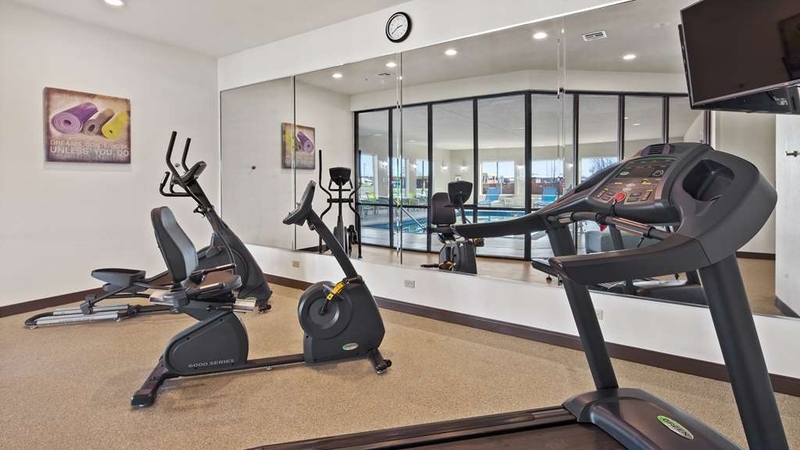 A decent exercise room. A walmart and dollar general next door. The oilfield guys like to slam doors at 5am and your card will turn off at 11am. The cooked food for breakfast was kinda gross, everything else was good. Walked in and immediately had a super friendly face that was very accommodating to what I was looking for ! Will definitely be back at that hotel ! It was super clean and all the staff went out of their way to make sure we was taken care of while we was there! Pool and all the ammenties was absolutely amazing ! overall was great place to stay the only thing to improve on is the internet it was very slow and never seemed to work. the service and staff were great and very friendly they were willing to help at all times day or night. the security on the premises is great also they have cameras covering all of the parking areas. "Surprised how nice this hotel was!" For a small rural town the hotel was modern and SUSTAINABLE! We were very happy with our stay. Breakfast would be better with fresh fruit options. Service from staff was great and they were able to put my family and I in rooms close to eqch other. "A pleasant visit to Middle America: Lindsay, Oklahoma"
After a long travel day from the west coast it was refreshing to be greeted by such friendly and thoroughly competent and capable front desk staff members as Miss Janice and Miss Amanda. During my four day stay all staff members, in particular, Maria, who provided an excellent breakfast experience each morning, always made certain I was made to feel a family guest, not simply a customer. My thanks to general manager, Mrs. Anita Patel, and all of her amazing staff, for a stress-free sojourn in Oklahoma. Well done, Miss Janice!! We had an amazing stay! 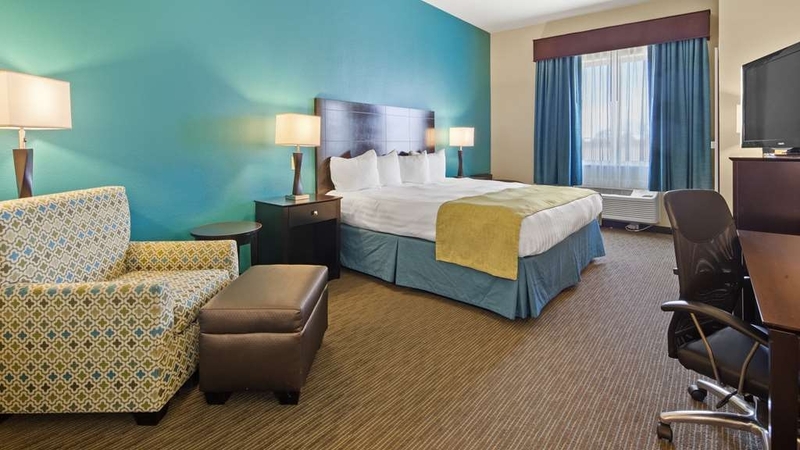 The staff is friendly and helpful, they have a hot breakfast, and the rooms are exceptionally clean! 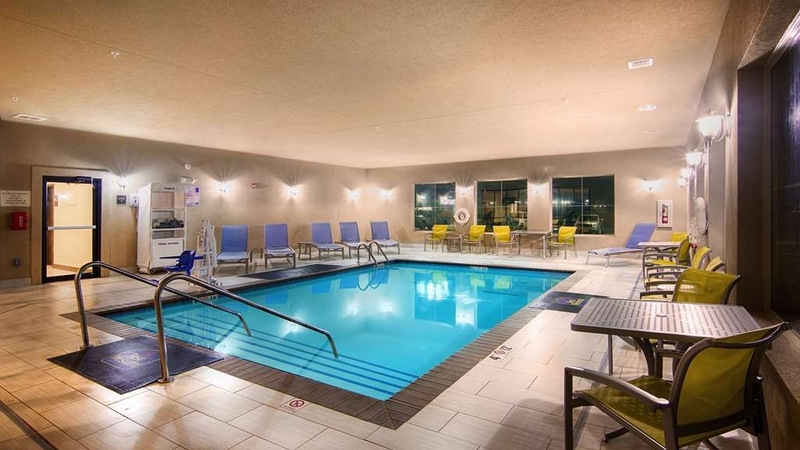 My only complaint is that the indoor pool is advertised as heated and the water was ice cold. I would recommend anyone to stay here. We were greeted by a very friendly and accommodating lady! The hotel is only one year old and very clean. Discounts are available i.e., AAA, Best Western Member. Continental type breakfast is free. The bed was a bit hard for my liking and 4 smaller pillows are provided. The room was quiet and comfortable. We had a king suite. I would stay here again. Janice and Anita were courteous and helpful dealing with questions and concerns. 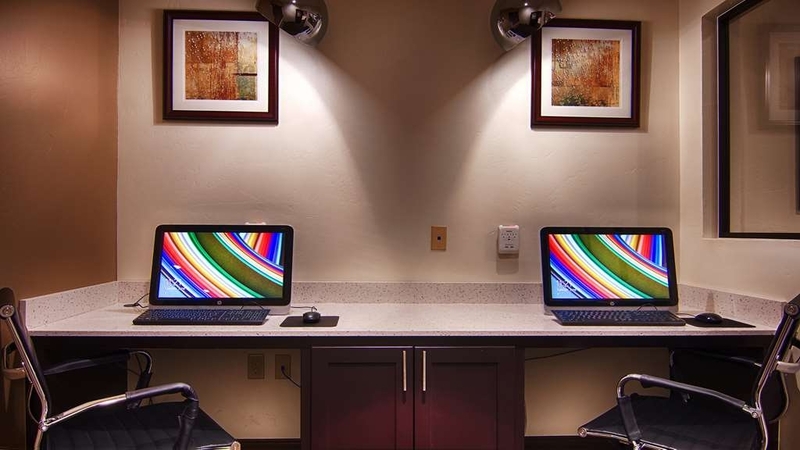 I was there on business, the staff, room, amenities and service was exceptional. Having a fridge and microwave were a nice touch. "A great place to stay at if your in the area"
Comfortable atmosphere with great customer service. The hotel has an indoor pool and a pretty decent gym. Rooms and beds are very comfortable. Wal-Mart is next walking distance from the hotel, which has a Mc Donald's inside for anyone who likes the restaurant. If your in the area, give this place a chance you won't be disappointed! Have a great day! The main consideration in choosing this Motel was it's convenient proximity to the job location. The staff was very accommodating and helpful. I do prefer to stay at Best Western Motels when possible. You can truly use the word BEST to describe this property. 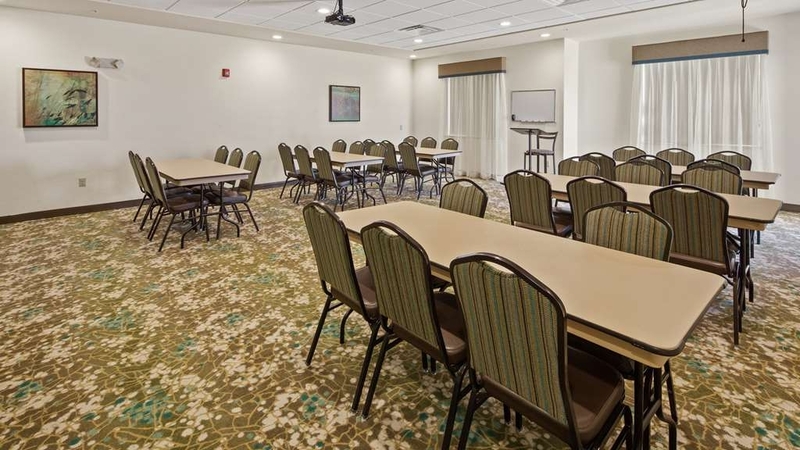 The room was great, the location is great and the employees are even greater. If you are ever in the Lindsay area this is THE hotel to stay at!